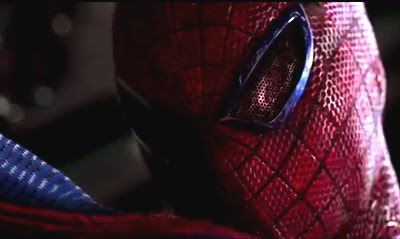 The Amazing Spider-Man lands in theatres July 3 2012.
i'm actually more hopeful about this then the new Batman film. especially after seeing this trailer! Prediction: Best movie of the year "OA1"
Thanks guys! Looks like this has gone down pretty well. Those scenes of Spidey swinging are awesome. OA thats a pretty big call considering the trifecta heading our way this year - guess we'll find out soon enough! i can say this trailer is even cooler on the big screen. ditto for the latest Dark Knight trailer too. i just saw the Avengers this morning. it was over all pretty cool although i think i would have liked to have seen some things done differently with some of the fight and action scenes. i think the whole Chitari concept could have been handled a little bit better also and i think Captain America's head gear needed some work it came off a bit hokey to me. although i would have preferred Ed Nortan as the Hulk i still think Mark Rufulo did a good job. the cast was over all pretty good and they played well off each other. that actor who plays Loki is perfect just like how Michael Fassbender is as Magneto. Thanks for the comments Dave! It sure does, I saw them all yesterday on the big screen and Spidey Swinging almost gave me Vertigo! I like how the Chitari were played out, I actually thought it was pretty clever how they were set to bridge the two Avengers movies as villains, while not overshadowing Loki's efforts in the first. Too many comic films dispose of the 'baddie' in one all or nothing gambit, it's nice to see some role over. I'm still waiting for the return of Tim Burton's Catwoman after the tease at the end of Batman Returns! And while I thought Mark was leagues ahead of Norton as Banner, I agree Cap's outfit needs a little retweaking and Tom Hiddleston is definitely a role king-maker. In fact I think he's the main guy soaking up the praise in the comments section of my Avengers review. Wonder if people will be referencing the Lizard in similar ways as Loki and Mags? What does your gut tell you? It's always been a great predictor so far?